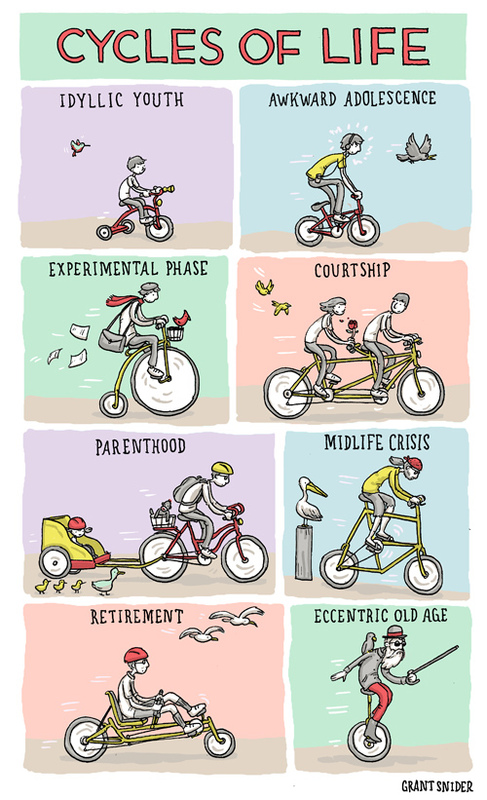 In less than 6 months my wife and I will be learning to ride cycle #5! It's sure to be an exciting and terrifying course. 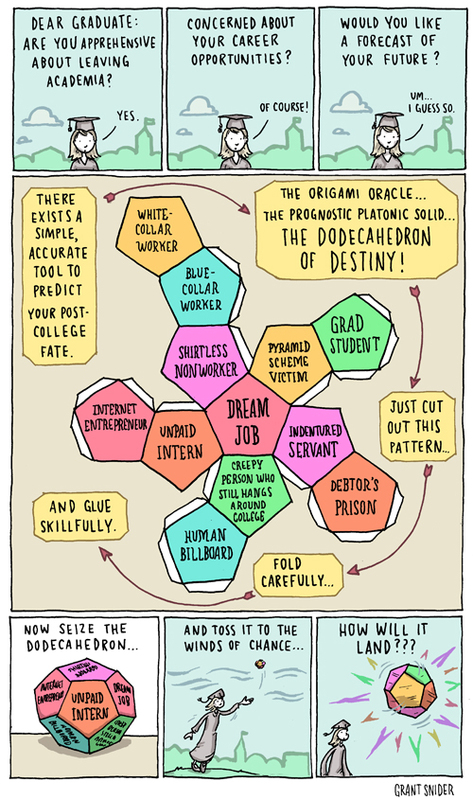 This comic offers a far more feasible alternative to my previous invention: The Infallible Career Path Generator. It may prove to be just as helpful to your future as your new diploma. Happy Graduation! This illustration appears in the New York Times Book Review alongside a review by Christopher Benfey of John Sutherland's "Lives of the Novelists." Sutherland's book profiles a long list of notable writers and the personal events that may or may not have influenced their creative output. 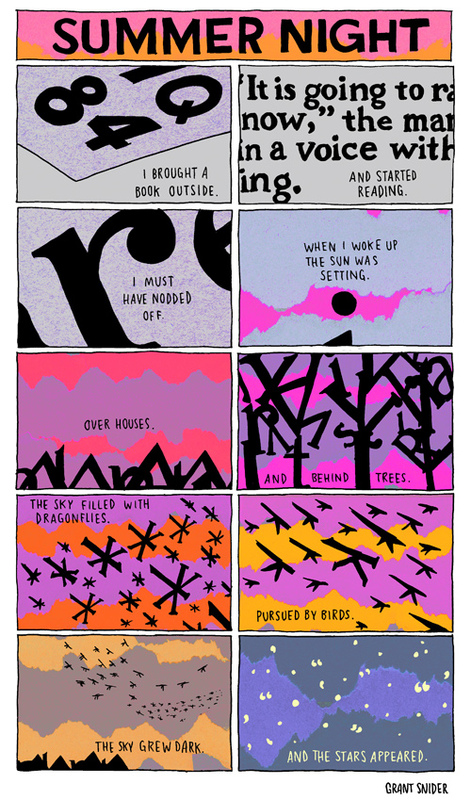 I tried to distill the typical experience of a literary icon into nine small panels. 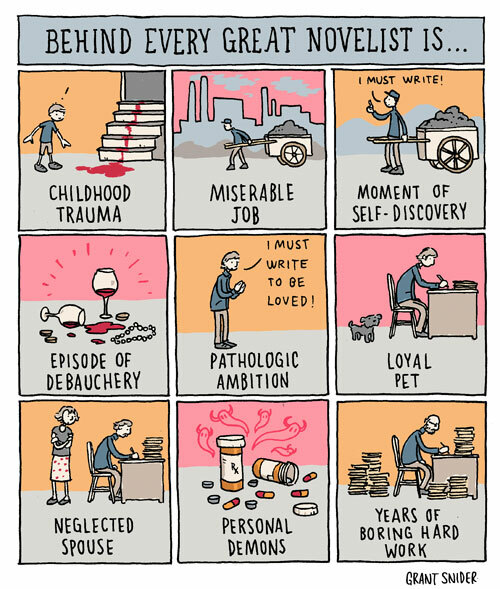 I'm certain that many of our great writers have worked in a coal mine and owned a small poodle. 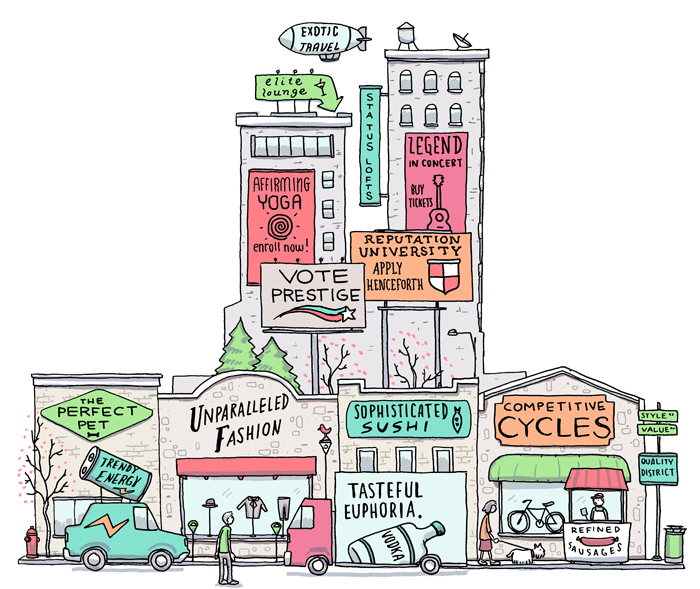 I made this small illustration for the Riff column in this week's NY Times Magazine! The topic was the decision to not award a Pulitzer Prize for Fiction this year. I hewed closely (perhaps too closely) to the minimalist style set by Tom Gauld, who regularly draws for the column. While browsing the unwanted books section at a local thrift store, I came across an amazing item: The Elements of Color by Johannes Itten. 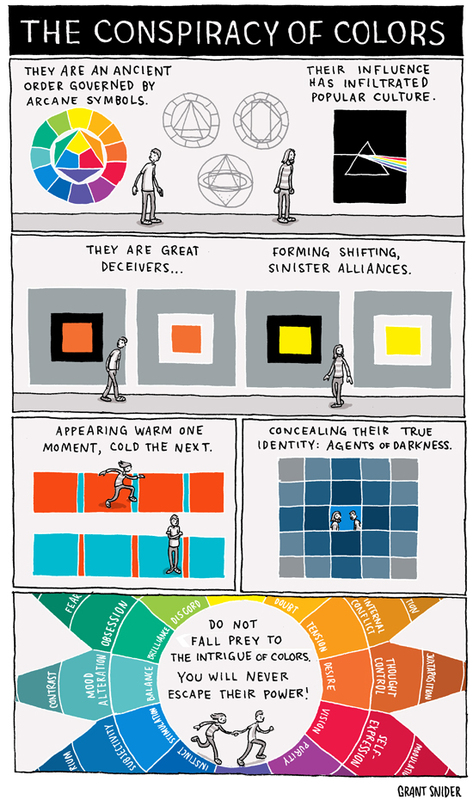 The book's subtitle is "A treatise on the color system of Johannes Itten based on his book The Art of Color," and the contents are full of beautiful diagrams and fascinating (if a tiny bit overblown) writing on the practice and history of color theory. It was definitely worth the $2.99 spent. I adapted some of the figures within the book for this comic. I loved the way Itten wrote of the colors as if they were living, breathing entities, with the capacity for good - or evil.